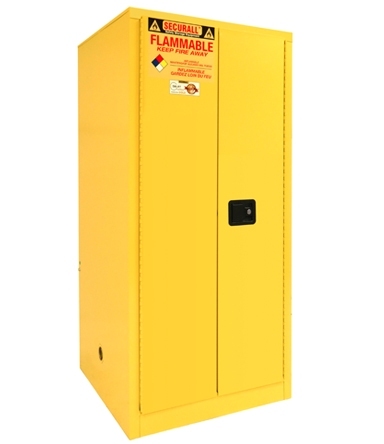 Safety storage cabinets for 1-gallon paint cans are available in 20, 40, 60 and up to 120-gallon capacities. Finished in Yellow (Standard) and Safety Yellow urethane paint. Warning label reads "Flammable - Keep Fire Away". Perfect for print shops or auto body repair. 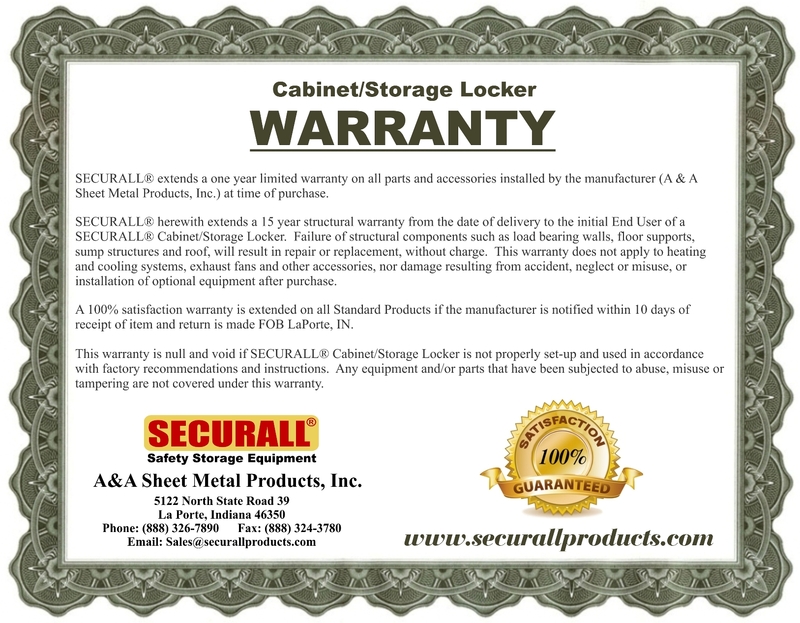 Available in manual, sliding, and self-closing door models. CA18 Caster Assembly (Factory Installed); 2 Rigid, 2 Swivel; Adds 4" to Height of cabinet; Approx Ship Wt. 35 Lbs. WP60 - WeatherProof Package (Factory Installed) for Outdoor Storage with Stainless Steel Padle Handle, and Forklift Channel with Bolt-down Bracket ; Dim: 31 W x 31 D; Approx Ship Wt. 51 Lbs.